Nature now, like an athlete, begins to strip herself in earnest for her contest with her great antagonist Winter. In the bare trees and twigs what a display of muscle. It is not so much muscle I saw the other day on a walk in the Garden, but rather puffiness. I took the camera with me when I went out to feed the birds at our bird blind, then sat for a few minutes to see who was hungry. Turns out, they all were, and soon I was surrounded by a mixed flock, many that looked a bit rounder and more puffed up than usual. 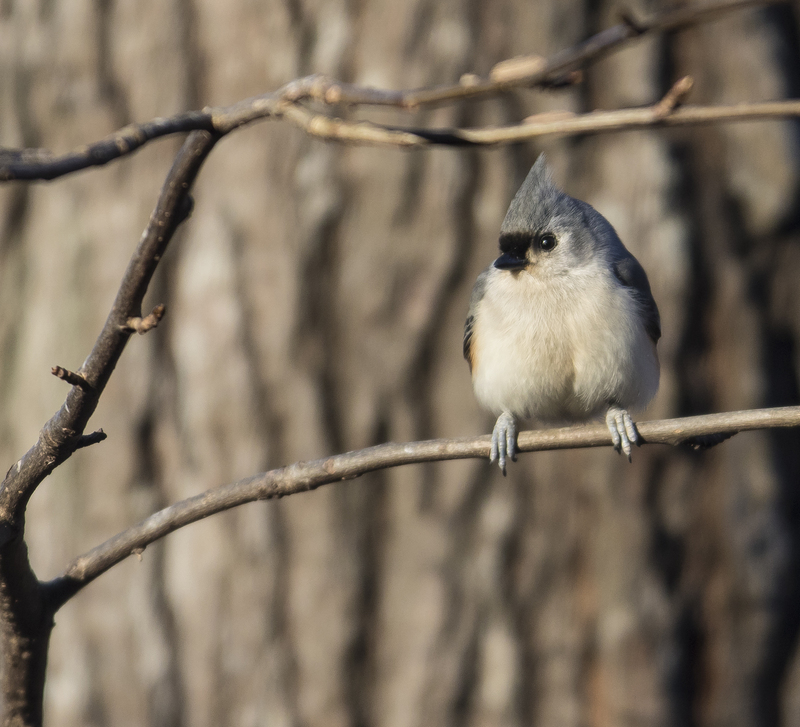 The tufted titmouse above is a prime example. That bird even threw in a somewhat stern countenance as if totally unhappy about the current situation of very cold temperatures. The puffed up appearance is actually one of the more efficient ways that our winter birds manage to survive the bitter cold. Air trapped between its feathers is heated up by a bird’s body. Puffing up (raising their feathers) traps as much air as possible in their feathers. More trapped air means more warmth, with some sources stating the heat retention can increase by as much as 30% when all puffed up. 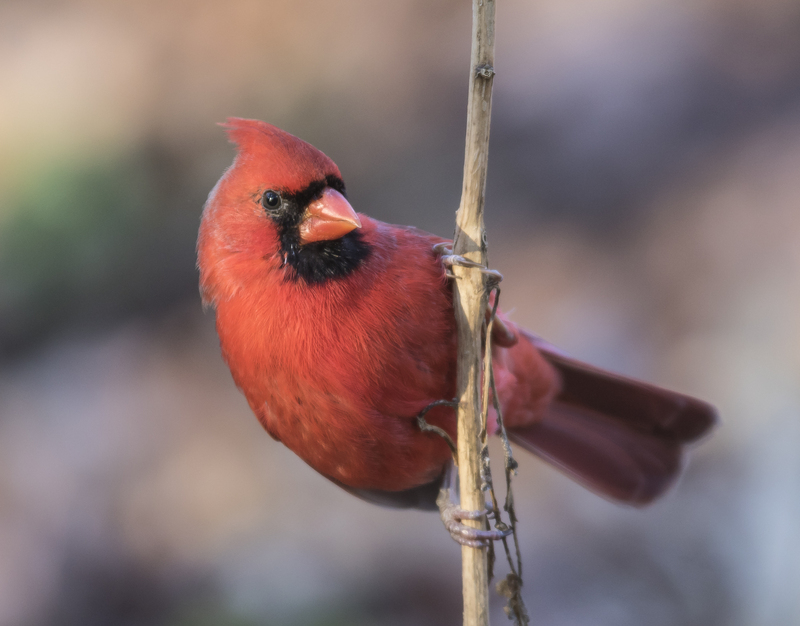 And, as any backyard bird watcher knows, bird activity at feeders greatly increases in cold or stormy weather. This week is no exception with many species (including a few, like Eastern bluebirds, that aren’t usually present at our feeders) spending more time at the feeding stations at work. Frequent feeding helps birds maintain their fat reserves which provide insulation and store extra energy used to increase body heat when necessary. 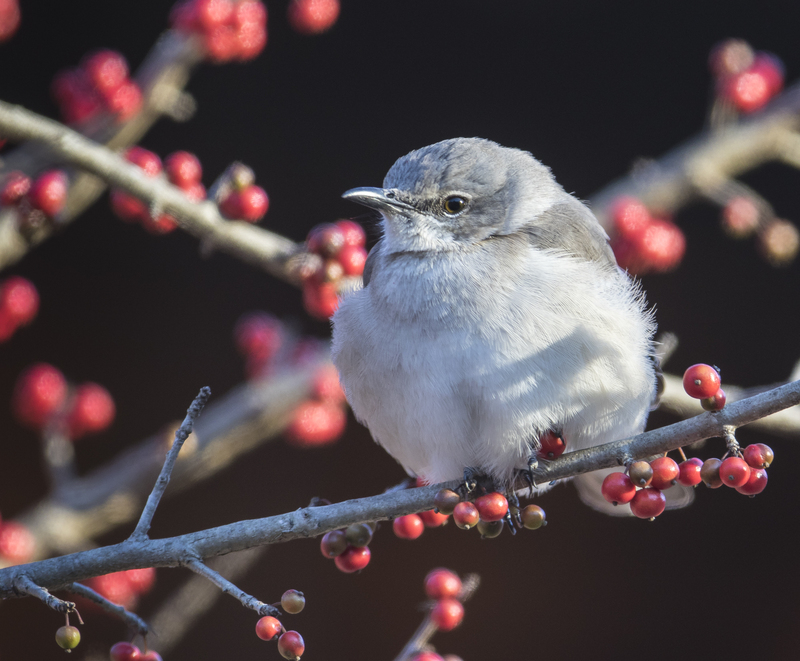 On my way out, to the blind, I saw the resident northern mockingbird in the usual spot – a large deciduous holly in the display garden of our courtyard. That bird has stationed itself in one of the two berry-covered hollies most days for the past few months. This is a common strategy for this species – guard your winter food supply from all those upstart berry thieves like bluebirds, robins, and cedar waxwings. As you can see, the strategy seems to be working. Other hollies in the garden are mostly stripped of the berries now. 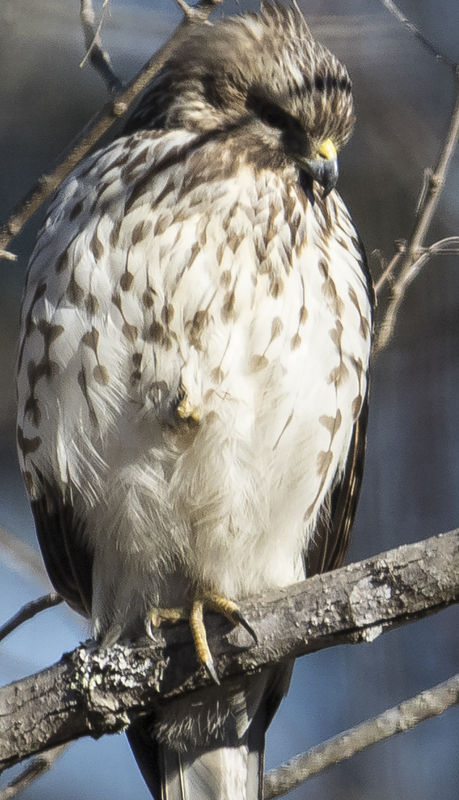 Back in the office, I glanced out to see an immature red-shouldered hawk looking intently in the grasses below for any sign of something edible. Since this species prefers a diet of reptiles and amphibians, these cold weeks must be stressful, especially for young and inexperienced birds. I am keeping an eye in hopes of seeing what they might add to their diet when times are tough. 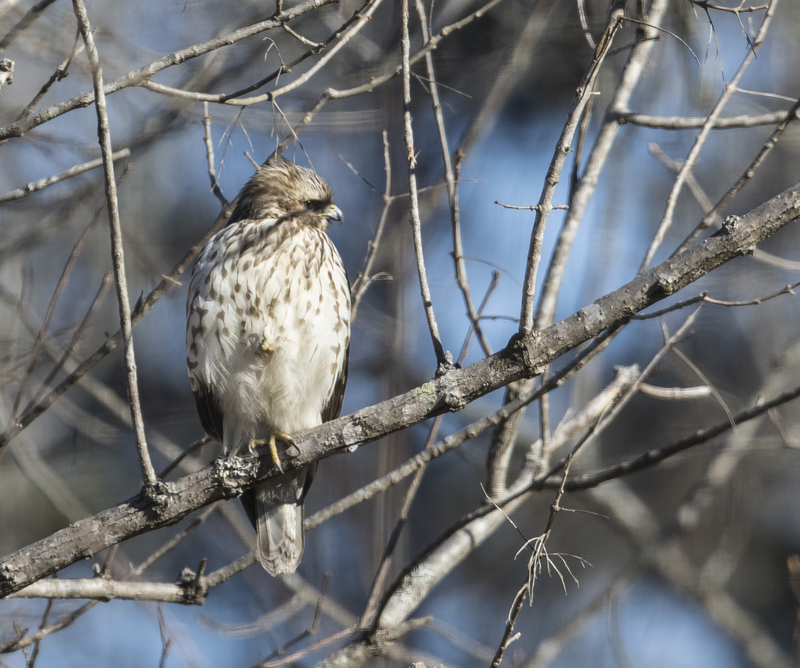 A closer look at our hawk shows another strategy used by birds to stay warm in winter – standing one leg with the other one tucked up under a blanket of feathers. They will often then switch to give the other leg a turn. In this case, the placement of the foot looked a bit odd at first and resembled a knot coming out of its belly. There are a couple of other ways birds strive to stay warm – they shiver, although they typically don’t shake like we do. These muscle contractions help maintain their body temperature around 105 degrees (average for most songbirds). If all these adaptations are pushed to the limit on days like we have had lately, then surviving the cold, dark, nights of winter must be extra tough. That’s why many songbirds flock together after dark. Some, like chickadees and kinglets, crowd together in tight groups in protected areas like brush piles, evergreens, or even nest boxes, which helps them to conserve and share body heat. Plant native plants that provide cover and food. North Carolina Audubon has some great suggestions here. Don’t tidy your wildflower beds until later in winter or early spring, leaving seed heads and structure for food and cover. Provide winter water in the form of moving water, a bird bath heater, or regular re-filling with warm water in freezing weather. 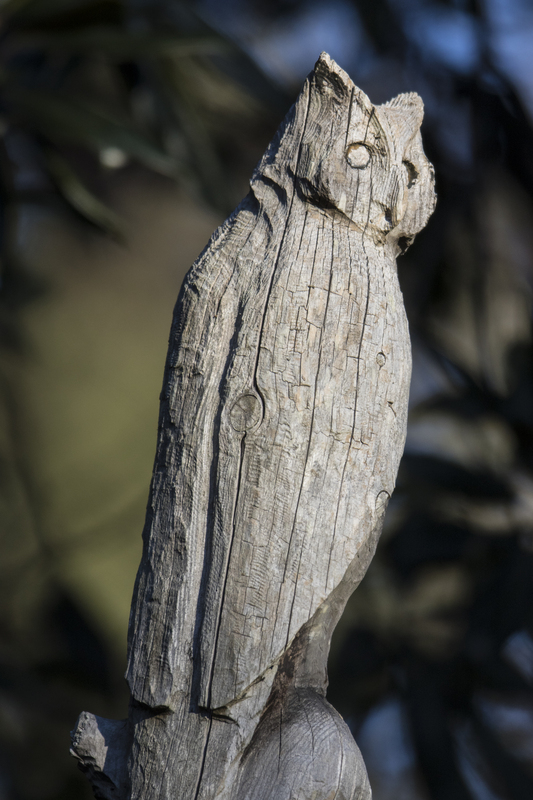 Next time you head outside with your puffed up winter jacket, think of how the birds are managing to survive, and how what we do in our yards and gardens can help.